The category is filled with collage sheets of vintage bathing beauties by the sea. 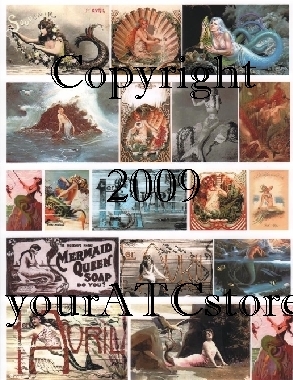 Also available are mermaid collage sheets. Great price at only $2.98 each.